In the Catholic church the Wednesday of Holy Week is often called Spy Wednesday, because it is the day we remember that Judas betrayed Jesus and spied upon him. Judas had been one of the twelve disciples, trusted by Jesus. But he arranged with the chief priests to turn Jesus over to them at an opportune time, when there would be no fawning crowd to interfere. 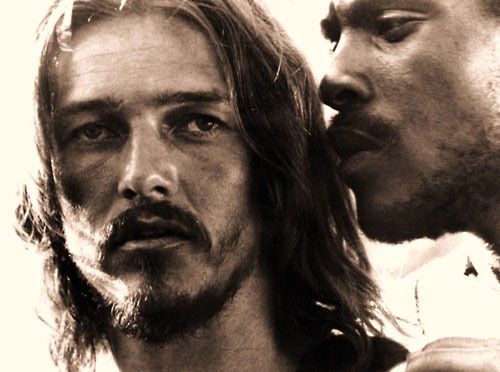 In the Garden of Gethsemane, Judas betrayed his master with a kiss. People often wonder what motivated Judas to betray Jesus. Was it only the money? Or was he trying to force Jesus’ hand so that he would call down God’s angels to overthrow the Romans? Or did he simply lose faith in Jesus, choked by the worries and concerns of the world? The scriptures are unclear. That non-clarity may be intentional because it can push us to think about the ways we may have betrayed Jesus. Probably not as openly as Judas, but we all betray, deny, run from, or avoid Jesus and his call upon us. We all fall short of his command to love one another. The story of Judas betrayal is both a warning but also a description of our own wandering hearts. Yet the words of Paul in I Corinthian 11 are the opening words of Holy Communion, the supper Jesus gave to his disciples and to us. The meal holds the promise of forgiveness and grace. “This is my blood, shed for you for the forgiveness of sins.” Even in the midst of betrayal, Jesus gives us mercy and grace. Though we be faithless, he is faithful. Praise be to God. Lord Jesus, renew a right heart within me. This entry was posted in Bible, communion, grace, Jesus, Uncategorized and tagged betrayal, Judas, Spy Wednesday on April 4, 2012 by Pastor John Keller. Last night we had a Lenten Prayer Evening at my convent, and our reflection was on the portion of scriptures that precedes this where Jesus tells Judas to do what he was about to do quickly. What came to me was that Judas had been a close friend, and, based on the disciples’ conversation on these words of Jesus, they weren’t expecting a betrayal by Judas. So how did Jesus know? How do we know when a friend is no longer “with” us. Was Judas avoiding Jesus? Was he not meeting his gaze? Was he not engaging in conversation? Had his smile and laughter disappeared? It made me reflect on my own ways of avoiding Jesus from time to time.